Commonly seen as a result of plantar fasciitis, a heel spur is a bony protrusion on the underside of the heel caused by a build up of calcium. Protrusion often causes a dull ache or sharp “pinprick” pain. Weight-bearing activities such as standing, walking or running will worsen pain. Occurs when calcium deposits build up on the underside of the heel. Risk factors include: prolonged standing, running or jogging on hard surfaces, poorly fitted/ worn out shoes, excess weight and arch abnormalities. 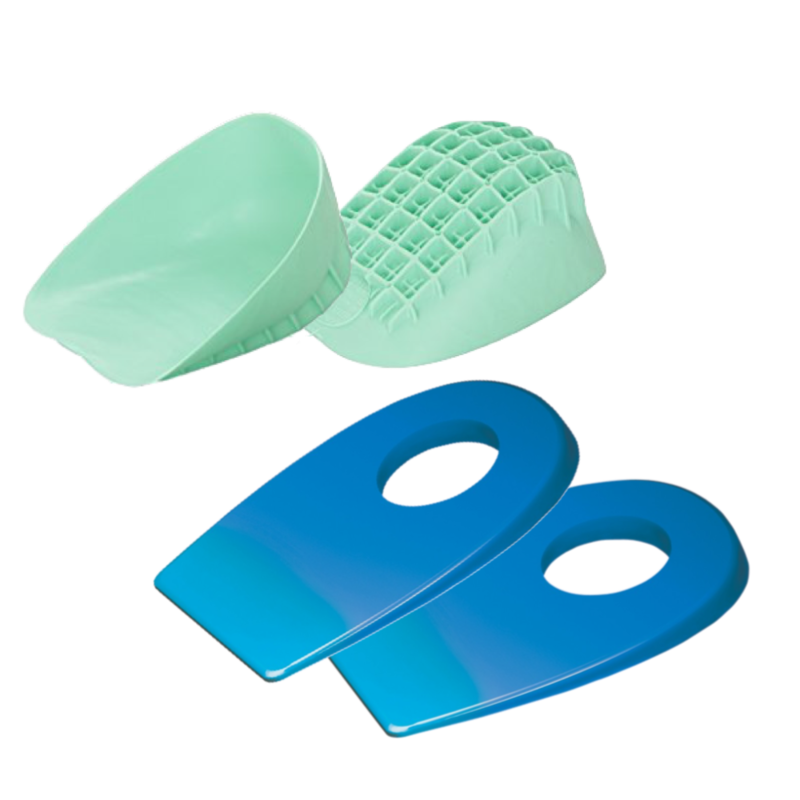 A doughnut-shaped pad designed to go in shoes can help relieve pressure at the protrusion site. This can help manage pain during everyday activities such as standing and walking.